Gaming powerhouse. 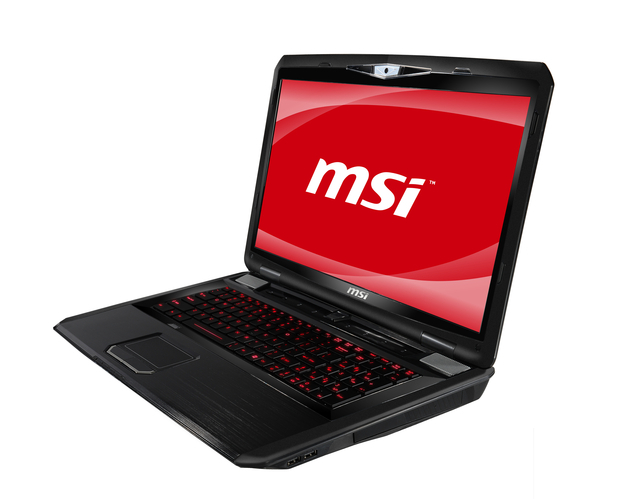 MSI sends another gaming notebook into the race with its GT780DX. The 17 inch laptop has an anti-reflective screen and manages a Full HD resolution. The Intel quad core processor i7-2670QM and GTX 570M graphics card from Nvidia are to supply the user with the desired performance. Can the gaming notebook let gamers' hearts beat faster? NVIDIA GeForce GTX 570M: High-end mobile GPU based on a stripped down GF114 chip. With these GPUs you are able to play modern and demanding games fluently at medium detail settings and HD resolution. » Further information can be found in our Comparison of Mobile Graphics Cards and the corresponding Benchmark List. 86.4%: This is a good rating above average. Nevertheless you should not forget, that 10-15% of all notebook-models get a better rating.